In February 2012, Wheaton Van Lines, Inc. announced its acquisition of Bekins Van Lines, one of the best-known, most-valued brands in the moving business. The brands are unique, but at the same time, our corporate offices and agent network both bring the same high level of quality, attention to detail, and customer service that our customers have grown to expect from each. NASMM is the leading membership organization for Senior Move Managers. They specialize in helping older adults and their families with downsizing and moving to a new residence. Bekins is a preferred van line for NASMM, providing a special discount and ensuring expert service for the specialized needs of seniors. 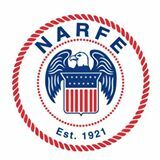 NARFE is dedicated to protecting and enhancing the earned pay, retirement, and healthcare benefits of federal employees, retirees, and their survivors. Bekins has a strong relationship with NARFE at a national level and with their affiliates throughout the country, offering members a special discount. Bekins provides Lutheran Church Missouri Synod members, pastors, teachers, and employees with a special discount—and we donate a portion of each move back to LCMS. Bekins has a vast agent network of experienced local and interstate movers to help ensure your move goes smoothly. We are endorsed by some of the country’s leading moving organizations, including the American Moving & Storage Association and the National Association of Senior Move Managers. Bekins is constantly forming new partnerships, and we’re always on the lookout for new potential partners. If you’re interested in partnering with Bekins, contact A.J. Schneider at AJ_Schneider@wvlcorp.com, or call A.J. directly at 317-558-0746.